The tomatoes on my garden have finally become red. 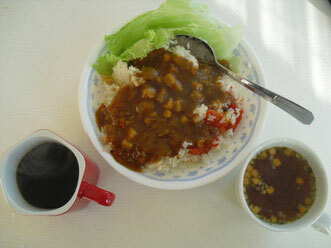 While I was wondering how to cook, my old friend showed a photo on facebook. 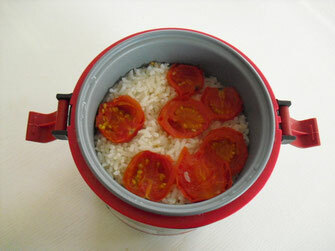 Tomato Rice.